Even veterans of the oil and gas industry are dismayed at the ease with which an energy company can seize a person’s land, especially in the state of Texas. "They're very aggressive,” says Rex White, an 82-year-old Texas attorney who has represented oil and gas companies for decades. Now he is pushing back against oil interests, lobbying for state legislation that would give more power to landowners who typically have no choice other than to allow development on their land. 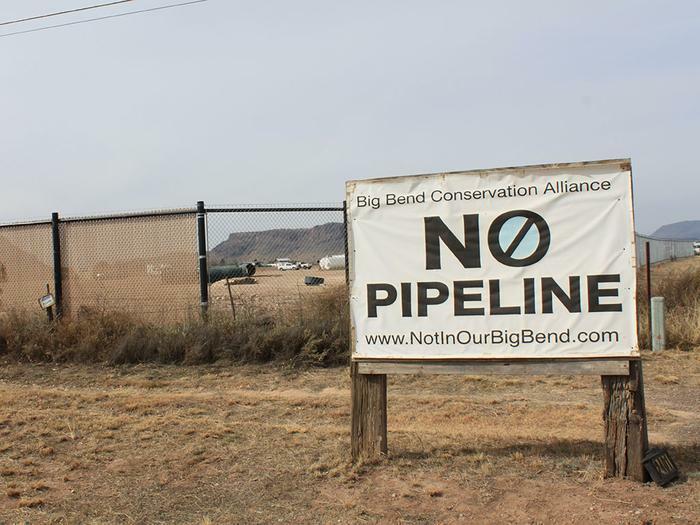 “There are a number of landowners out there who are subject to condemnation proceedings that are not over,” White says of a new pipeline project crossing private property called the Trans-Pecos pipeline. “And yet the pipeline has taken possession," he tells ConsumerAffairs. Under the Texas property code, an oil and gas operator can begin building on private property even before the company has settled on a payment that both it and the landowner agree on. “That’s why I decided I wanted to change that law." The United States' relationship with Mexico plays a contrasting role in eminent domain fights along the border. In March, the Department of Homeland Security began sending landowners a notice, “Declaration of Taking," also known as a condemnation letter. The Department of Homeland Security, they explain in the notice, is ready to pay landowners in exchange for the ability to build President Trump’s multibillion dollar border wall through their private property. If the property owner doesn't agree to the terms, the feds are going to build the wall through their land anyway, the notice spells out, using the power of eminent domain. Yet at the same time that the government is preparing to build a new barrier between the United States and Mexico, federal and local agencies are also allowing pipeline operator Energy Transfer Partners to seize sections of Texas ranchers' land for the Trans-Pecos Pipeline. The project delivers natural gas to Mexico as part of a deal with Mexico's utility commission and Mexican billionaire Carlos Slim. Though Energy Transfer Partners has told federal and local authorities that the Trans-Pecos pipeline would also benefit Texas communities along the route, and has rationalized its use of eminent domain by styling itself as a local public utility, there is minimal evidence that Energy Transfer Partners actually intends to supply the natural gas to the Texas towns the project passes through, as ConsumerAffairs reported several months ago. Now concerns about losing sections of land to further oil and gas development or to a border fence are spurring local lawmakers and advocates to try to strengthen landowners’ rights. "I just find it odd that the most powerful nation in the world is so uncomfortable it has to build a fence to protect itself,” White remarks. A coalition of hunters, conservationists, farmers, and ranchers are lobbying Texas lawmakers to support a bill that would reform the state’s eminent domain laws and offer landowners more protections against industry and the federal government. While not revoking an energy company’s rights to begin construction while dollar amounts are still in dispute, Senator Lois Kolkhorst's SB740 would at least give landowners facing condemnation more rights during the construction process, such as ensuring that landowners be compensated for all damages to their crops and for land experts' and attorney’s fees. And park rangers note that one massive section of the Texas-Mexico border lies in the middle of a federally-recognized park, the Big Bend National Park. A natural barrier exists in the form of the vast Chihuahuan desert and mountain ranges on either side. The actual border is drawn along the Rio Grande River, raising further concerns about the wall’s effect on the local environment. The dangers to the local ecology are uniting an unlikely coalition of environmentalists and conservative Republican landowners. “We’re really witnessing a rise in real Republicans,” says Nicol Ragland, a filmmaker who is filming and producing a documentary about the Trans-Pecos Pipeline and eminent domain laws in Texas. But SB740 does not go as far as some would like. Rex White, the oil and gas attorney, recently crafted a proposed amendment that would force companies to delay construction until all of the legal proceedings are complete. However, White doubts his amendment will get tacked on thanks to the heavy political weight that oil and gas interests still carry. “Most of the oil and gas associations are against any change,” he says. Any reform for now is likely to remain slow and still favorable to industries, or at least the oil and gas industry. Texas Governor Greg Abbott several years ago appointed Energy Transfer Partners’ CEO Kelcy Warren to serve on the Texas Parks and Wildlife Board, a move showing the strong hold that energy interests have over the state’s environmental and conservation regulations. The wildlife board itself has still not officially approved the nomination. Last week, Sierra Club’s Texas director testified against Warren’s appointment to the board. “We don’t know how many existing or proposed pipelines either intersect or otherwise affect Parks and Wildlife land that are associated in one way or another with Energy Transfer Partners, its parent - Energy Transfer Equity - or other entities connected to its parent," he said.